Happy Monday and welcome a brand new week! Cant you believe it’s Monday again already? This past weekend I’ve really been getting into the mode of recipe planning for my blog and what I’ve been focusing on is simple, healthy and delicious savoury meals. I want to bring you more friendly weeknight meals (but hey, I never said weekends were off the table with these recipes either) that you don’t have to think too much about. Focusing on ingredients you may already have I your refrigerator and pantry. Let’s face it, most of us are running low on time to spend on tasks such as meals, especially dinner meals after a long days work, so that’s why I’m here! I hope you’re ready for these types of recipes, because I have a long unfinished list that I’m just so excited to get a start on. 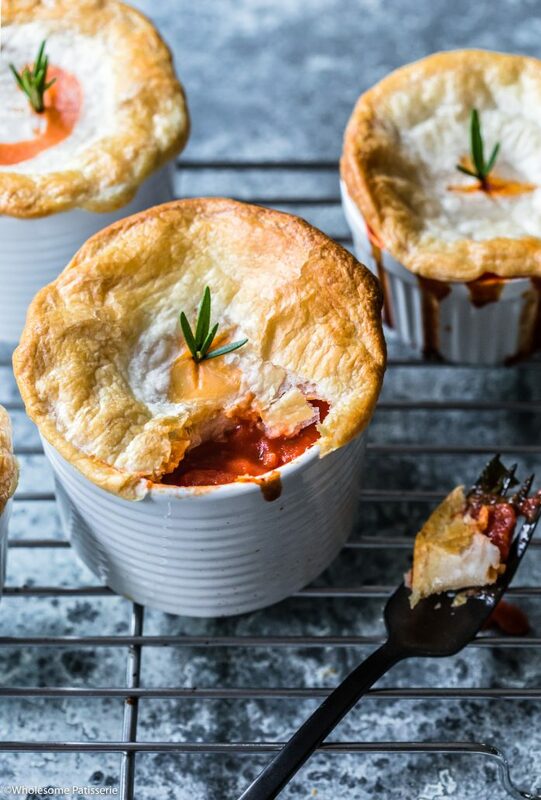 Today we are beginning with these super simple and tasty Tomato & Onion Pies! You ready?! 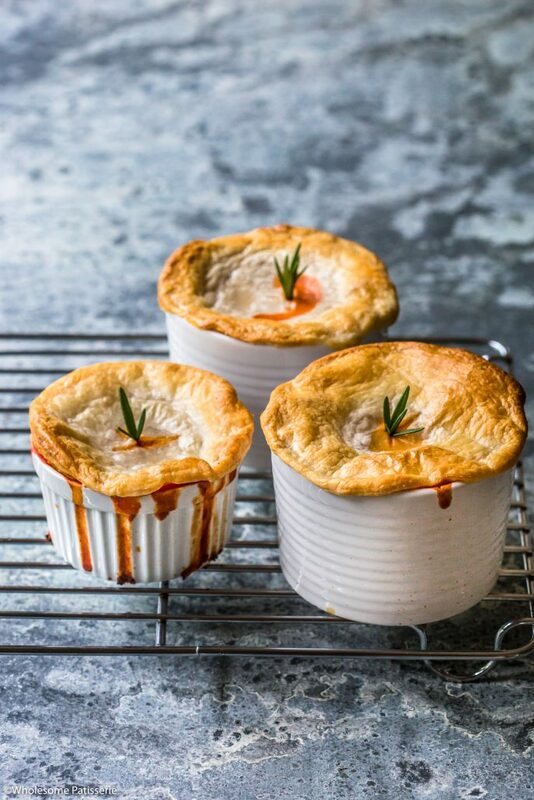 These tomato and onion pies are incredibly quick and easy to prepare, the entire filling is made in 1 bowl with zero pre-cooking, the oven does all of the hard work for you. These pies are wonderful for the entire family and aren’t lacking in the flavour department! For the pies in these images, I used regular wheat puff pastry, as I really wanted that “puffed” looked but do you know what, that kind of failed. I also use gluten free puff pastry but it doesn’t puff as much as the regular puff does. Did I say enough puff in that sentence for you? So what I’m getting at is, if you’re gluten free, by all means use your go-to gluten free puff pastry, there will be no problem. If you’re fine with regular puff pastry, use your traditional puff pastry sheets, still no problems! 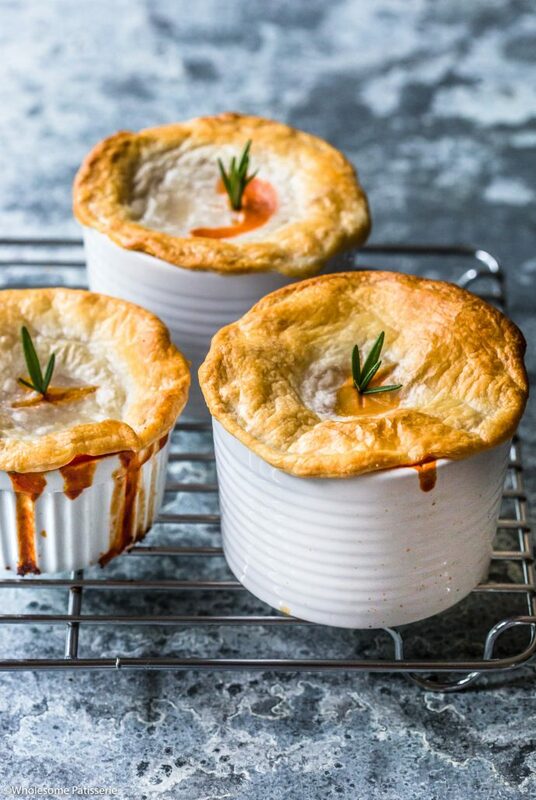 So, have I inspired you to plan these tomato and onion pies for one of your dinners soon? I hope so! I personally served my pie up with a batch of homemade fries and a side of steamed veggies, the perfect hearty and homely dinner meal, classic! What will you serve your pies up with? Pre-heat oven to 200ºC (400ºF). Create pastry lids before greasing. Once pastry has completely thawed, take one of your ramekins, turn over and cut out rounds of pastry by pressing down until it cuts through. Or use a same size cup/mug or slightly bigger to cut out rounds. Set pastry rounds aside. Grease ramekins with oil or butter, set aside. In a large mixing bowl, pour in canned tomatoes. Add in minced garlic and chopped onion, mix well. Stir through herbs, salt and pepper. Add cornflour and mix until well combined. Spoon and divide tomato mix amongst the greased ramekins, Filling them just below the top rim. NOTE: If you fill the ramekins right to the top, the filling will spill over during baking, so ensure to only fill approx. 2cm below the top rim. Take a small sharp knife and gently cut a small cross in the middle of each pastry round. Take one pastry round and place on top of a ramekin pie, stretching out the pastry if needed to fit over the top. Press the edges down all the way round to seal. Repeat with remaining pies. Lightly brush each pastry lid with the milk. Place pies in a large baking dish or on a large baking tray. Bake in oven for 25-35 minutes or until pastry is golden, crispy and puffed. Remove from oven and serve immediately or cool down for later use. NOTE: Handle ramekins with heat-proof oven mitts/gloves as they are extremely hot. Store any leftovers in an airtight container, refrigerated, for 1-2 days. 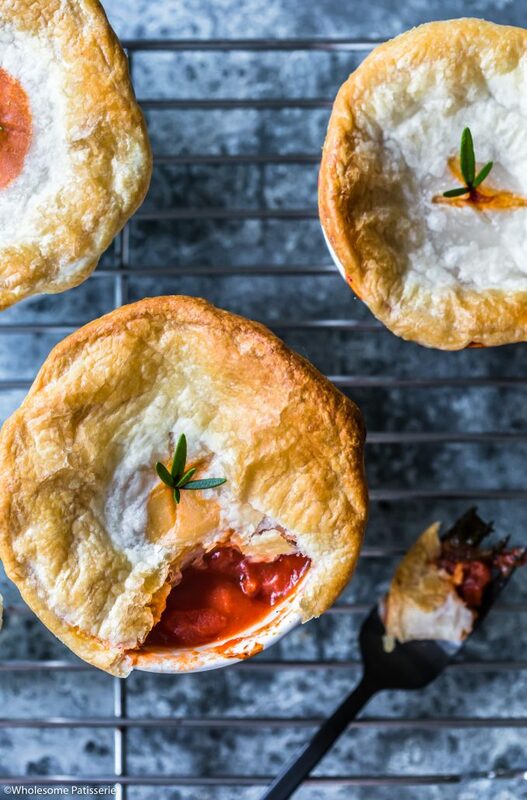 These tomato and onion pies sound so delicious! I love quick and easy recipes like this one, perfect for those busy days!